Alas, I am getting ahead of myself which I often do. In any case an update is long overdue. 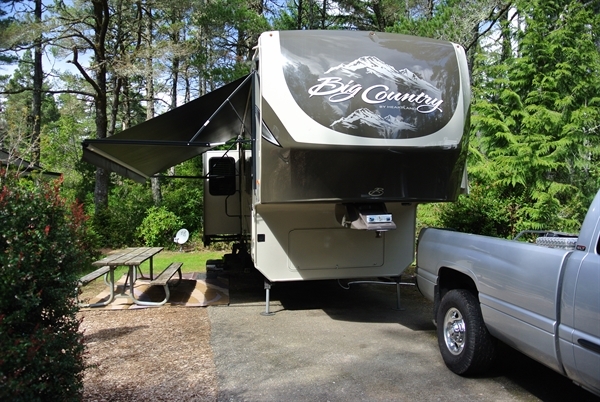 We spent the remainder of February at the Elks RV Park just north of town. It has made a great vacation spot for us before and this time it made a great base of operations for house hunting. 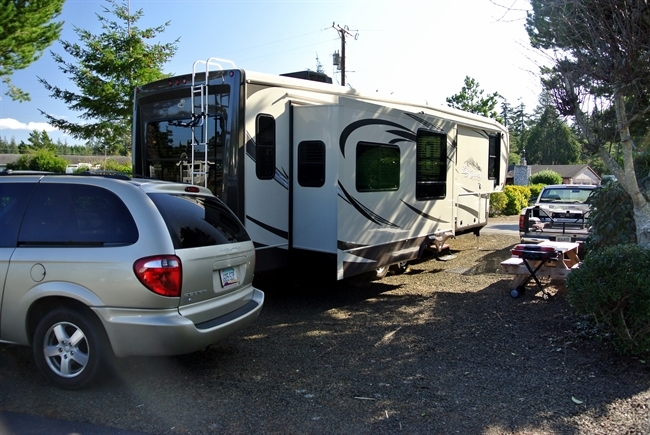 We spent the month of March here at Woakink Lake RV which is a very nice park just a few miles south of Florence that backs up to the famous Oregon Dunes Recreation Area. We did a lot of house hunting, took a few very pleasant drives into the valley, and went to a wood-turning symposium (see previous post) . 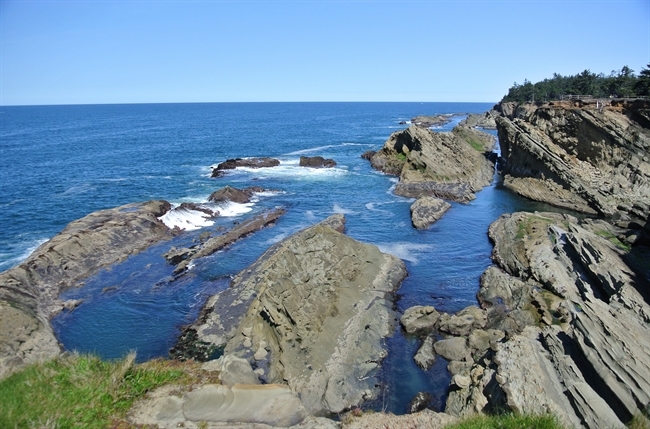 None of the properties jumped up and said “buy me” which was disappointing and then it was time to take a break and honor our commitment to host at Tugman State Park south of Reedsport, OR near Lakeside, OR. We spent the month of April working at Tugman where we had good time and met a number of great people. We did some house hunting but mostly just worked and relaxed. 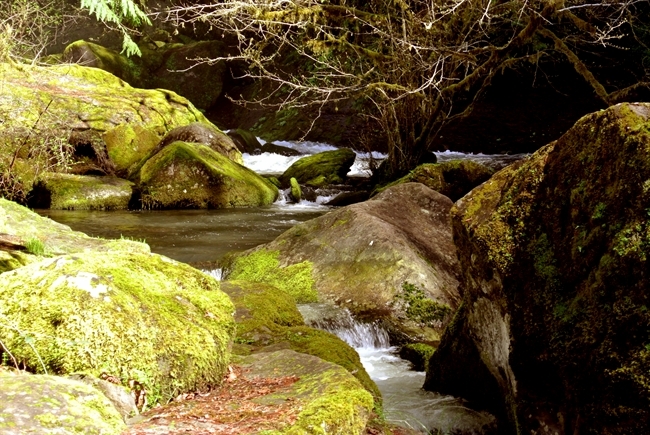 Lake Creek Falls, and a return trip to Shore Acres were on our agenda along with a few other side trips. We had pretty much given up on the Florence area and now had to decide what to do. We considered a number of options and finally decided to make a trip up to Port Angeles, WA, an area we had always enjoyed in the past that has a great rural feel, plenty of local shopping, is on the water and is only an hour or so from the big city for those major shopping trips. We liked what we found and one trip became two so at the end of our tenure we traveled to the Sequim / Port Angles area to start looking again. 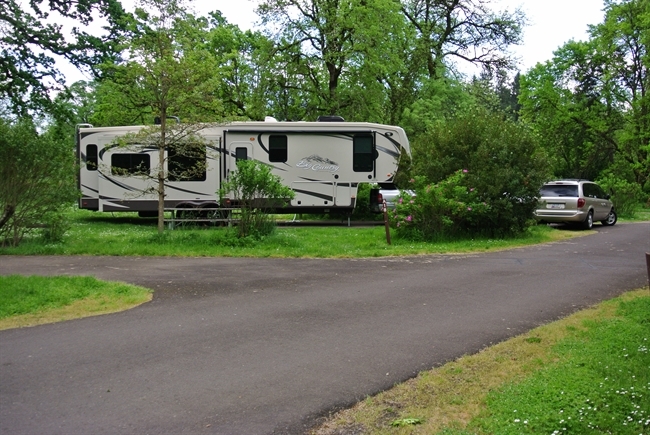 We broke the 400 mile trip into two days which allowed time to spend a nice afternoon at Champoeg Oregon State Park. 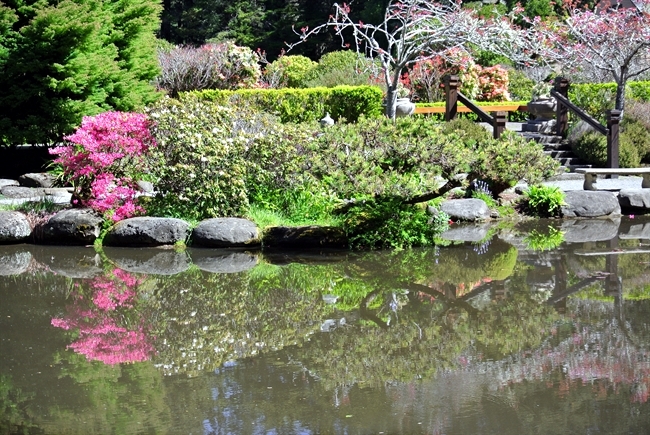 The grounds were covered with blooming wild roses and the park store/museum was a delight. Tomorrow we will be at Rainbows End RV and it will be time to get back into searching mode. It isn’t the destination, it is the trip.